It also has realistic sounds!! 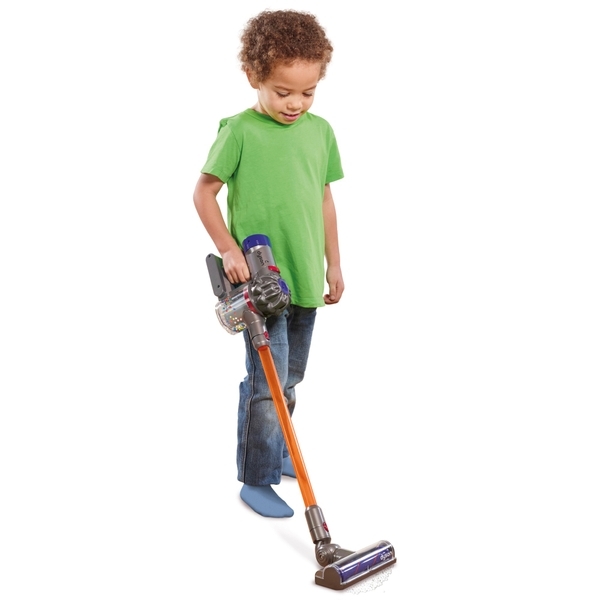 Keep your play house clean a tidy with this Dyson hand held vacuum, this super cute Dyson vacuum is a direct replica of the latest hand held DC59 model. The simulated cyclone action has moving colourful balls in a clear cylinder, accessible dust compartment for emptying all the dust and fluff your little helper has vacuumed up! With working suction and cyclone action. Includes attachments for short nozzle or long handled ‘twist & turn’ cleaning.It also has realistic sounds!! This hand held Dyson Vacuum conveniently transforms into a handheld unit from a floor vacuum. Just like the real thing, but perfect for Little Helper’s hands.